Q Source.com's TechCenter section was created to offer our customers the most important, in-depth technical details available to make educated decisions. In our latest additions to the TechCenter, we've focused on a comparison of Hakko's Soldering Irons and a look at the capacities & dimensions of Lindstrom's Rx Series Cutters. 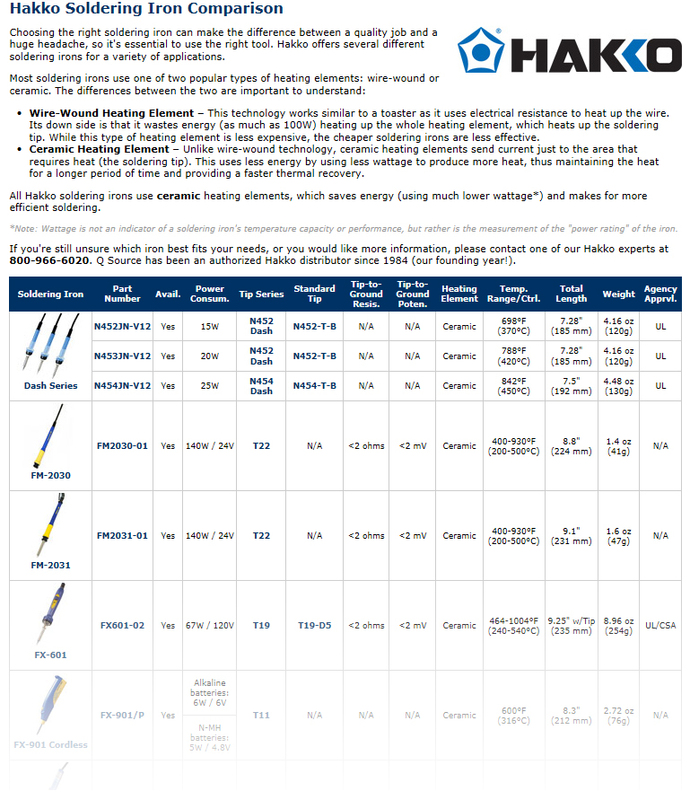 In our Hakko Soldering Iron Comparison, we look at 17 of Hakko's most popular soldering irons (including the FX-601 and the FM-2030). The important differences between wire-wound and ceramic (the better option because of how it directs its heat and its low-wattage energy use) heating elements are discussed. 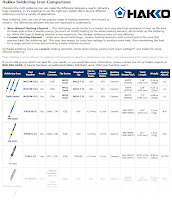 The reader can then browse a chart featuring Hakko's ceramic soldering irons to do quick comparisons of their features. 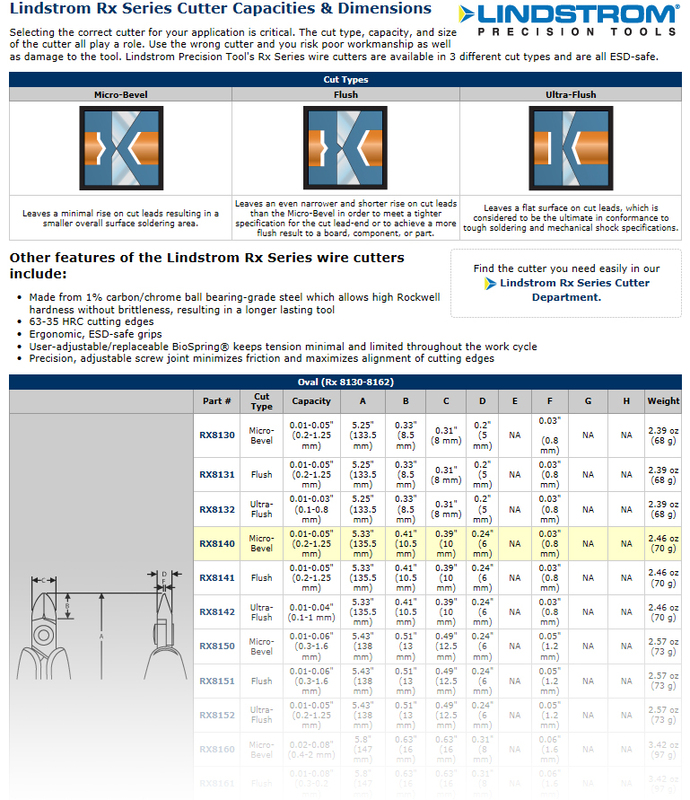 The Lindstrom Rx Series Cutters Capacities & Dimensions article focuses on 25 Rx Series Cutters such as the RX8141 Oval Head, Flush Cut and the RX8143 Tapered Head Micro-Bevel. We discuss the different cut types, capacities, and sizes of these precision, ESD-safe cutters. We then offer the reader a detailed chart featuring a diagram and the important specifications for each tool. For more information about, or to purchase, Hakko Soldering Irons or Lindstrom Rx Series Cutters please visit our Web site. We also provide expert assistance via email or phone (800-966-6020). 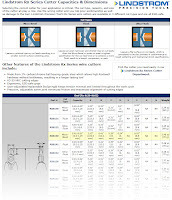 Check back with our TechCenter at QSource.com often for more detailed product comparisons and other in-depth information. If you have requests for TechCenter articles you like to see, please contact us.